There has been a rise in the number of vehicles being detected as unregistered and motorists are confused about the registration process and their rights. Although universally know as a Pink slip it is officially called an E-safety check and is required on vehicles 5 years or older. 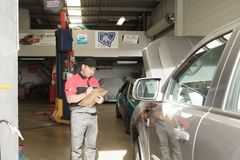 To confirm whether your vehicle requires a safety check look at your rego papers, it will state under the billing number whether an inspection is required. Areas checked include tyre quality and tread depth, working electrics such as headlights, blinkers, interior lights and dash lights, vehicle body condition. Along with engine/suspension/driveline assembly integrity, seatbelt condition, engine driveline oil leaks and operation plus a brake efficiency test. You can now have your Pink slip inspection done up to 6 months in advance, you don’t have to wait until your registration has nearly expired. The registration check is actually the cheapest part of your rego, being $39 for cars and $24 for bikes (this changes on the 1st of July). You are better off having your inspection done early as it will give you time to rectify any problems that may arise during your inspection. If an initial inspection identifies repairs required you will be issued with a white slip and have 14 days to have the repairs undertaken. The repaired car will then be checked at no additional charge at the same venue and a Pink slip issued. If your car is unregistered during the registration process, you are allowed to drive the most direct route between your home and the garage where the repairs are being undertaken or the inspection centre. 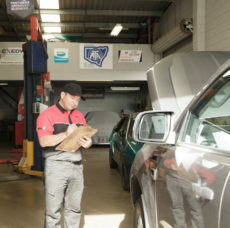 If you have any questions, don’t hesitate to call us on 47323 676, Angus Car Service is an Authorised Inspection Station, please ring and book your car in 1 day before you need your inspection done. TIP: It’s always a good idea to use the online greenslip calculator before you renew your greenslip, we save money every year by checking if there’s a better deal. 1 Response to "Pink Slip – what you need to know"
Thanks Aaron for the news about the 6 months. Great for when we are going to be travelling and the rego comes due.